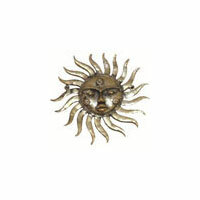 We are offering bell metal shining sun. 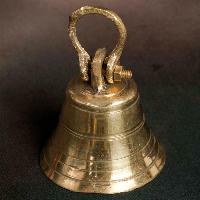 bell metal, brass, and bronze, traditionally the ghadwas of bastar and jharas of raigarh exquisite dull gold figurines and objects de art are crafted in the bastar and raigarh districts of chhattisgarh out of bell metal, brass, and bronze. 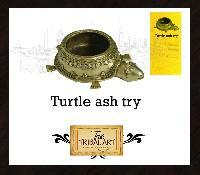 Traditionally the ghadwas of bastar and jharas of raigarh practice the dhokra art with lost wax technique or hollow casting. 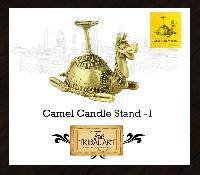 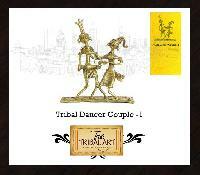 We are a group of various national award winning tribal artist from india. 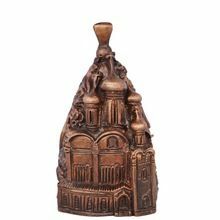 We are looking forward for business association with exporters showroom owners liasioning agents across the world for real range of tribal art work . 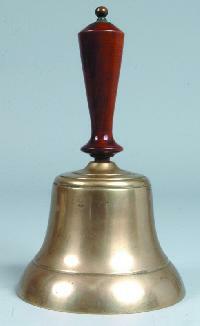 Ethical & Sustainable Young Indian..
We are offering bell metal erawat 2.8 kg. 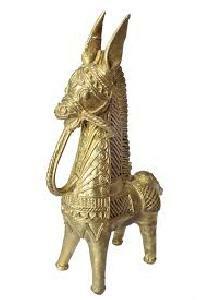 bell metal, brass, and bronze, traditionally the ghadwas of bastar and jharas of raigarh exquisite dull gold figurines and objects de art are crafted in the bastar and raigarh districts of chhattisgarh out of bell metal, brass, and bronze. 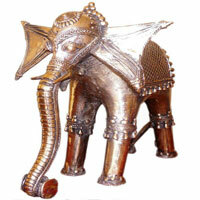 Traditionally the ghadwas of bastar and jharas of raigarh practice the dhokra art with lost wax technique or hollow casting.